1. Laughter. There is nothing so amazing as hearing my daughters laugh. 2. Walking into the kitchen to find Julia eating cooking dough straight out of the bowl. 3. Hannah’s tight hugs right before bedtime. 4. Julia’s inquisitiveness about everything. 5. All the dancing and twirling that comes with young girls. 6. Squeals of excitement each time Jonathan comes home from work. 7. Requests for “snuggles and kisses”. 8. Julia’s confidence that she is loved. 9. Hearing “Jack! Jack!” followed by giggling, running and laughter. 10. Sisterhood. A bond that is beautiful and wonderful to see grow. 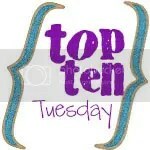 6 Responses to "Top Ten Reasons I Love Being a Mom"
What a fabulous list! #1 is SO true. My daughter laugh is the greatest sound in the entire world! I can relate to all the others except sisterhood. We only have one child. When kids get to laughing, you can’t help but join them. this is such a beautiful post–and an encouragement to me–a future mom! 🙂 I love everything about your blog–especially the name. That is so awesome! Way to be a witness! Melanie, thanks so much for the kind words! Thanks for stopping by! So true! It’s fun to stop and think about the little things that make it worth it, huh? What a great post! We all need a reminder of how blessed we are to be moms, as hard as the job can be sometimes. My 3YO is in that ultra-inquisitive stage right now. I remind myself what a blessing that it is.